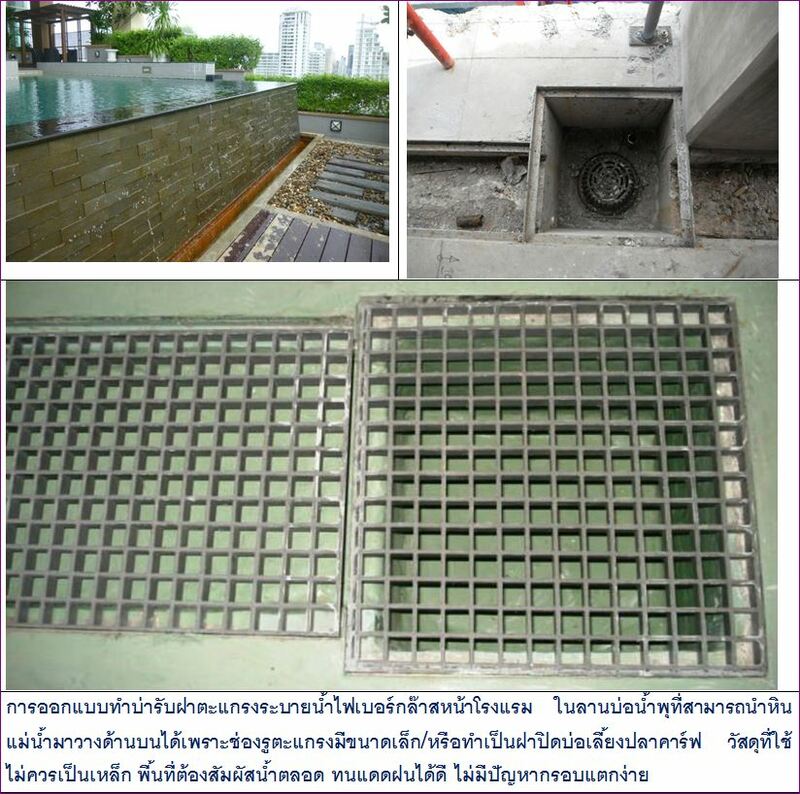 FRP Covered Plate Gratings is often used in loading and storage areas. 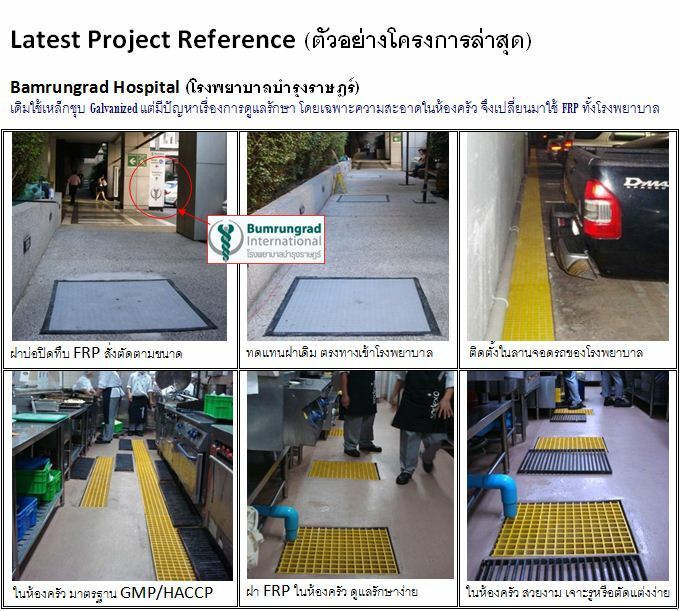 Other applications of FRP Covered Plate Gratings include food processing facilities, where covered its walkways prohibit contamination to work surface below. 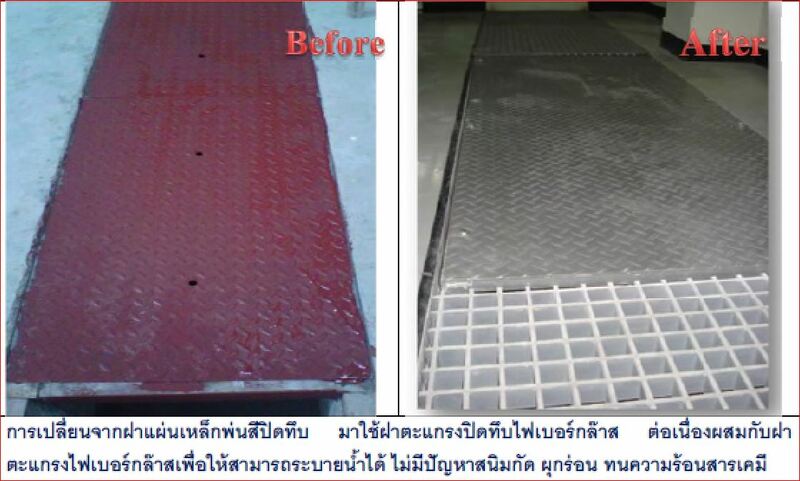 FRP Covered Plate Grating is also suitable where it provides a walking surface and controls subsurface odors. 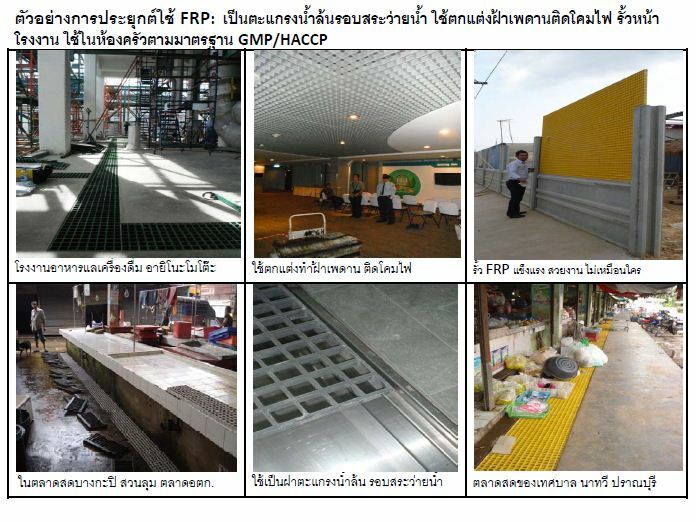 Other uses of FRP Covered Plate Grating include walkways over tank tops and vats. 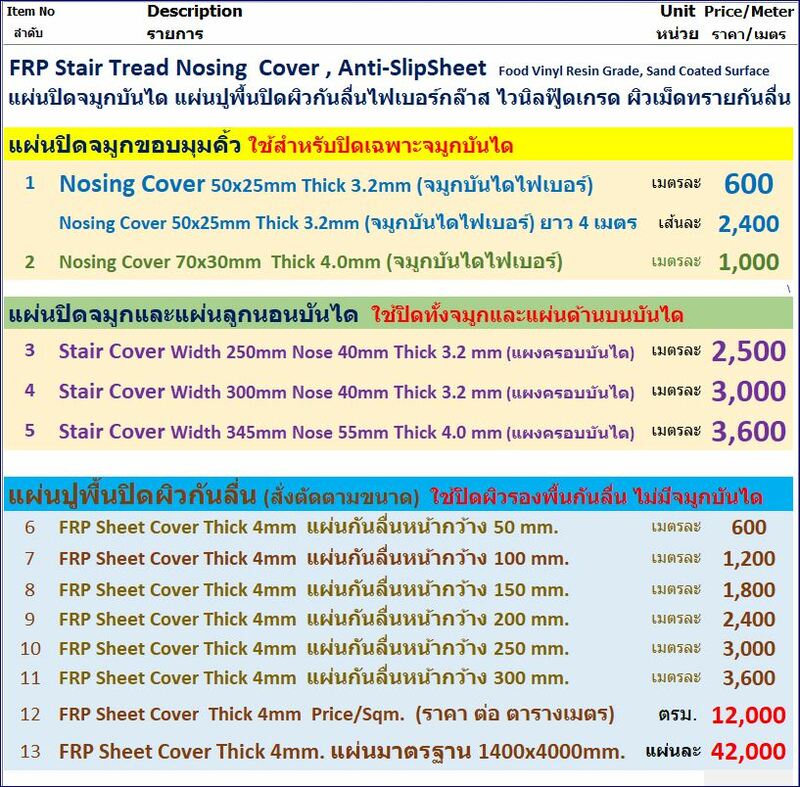 FRP Covered Plate Grating is manufactured with chemical resistant resin and includes a fiberglass gritted plate cover to any standard grating thickness. FRP Covered Plate Grating offers a strong, level surface for foot or wheeled traffic and provides approximately 30% higher stiffness values than open mesh grating. 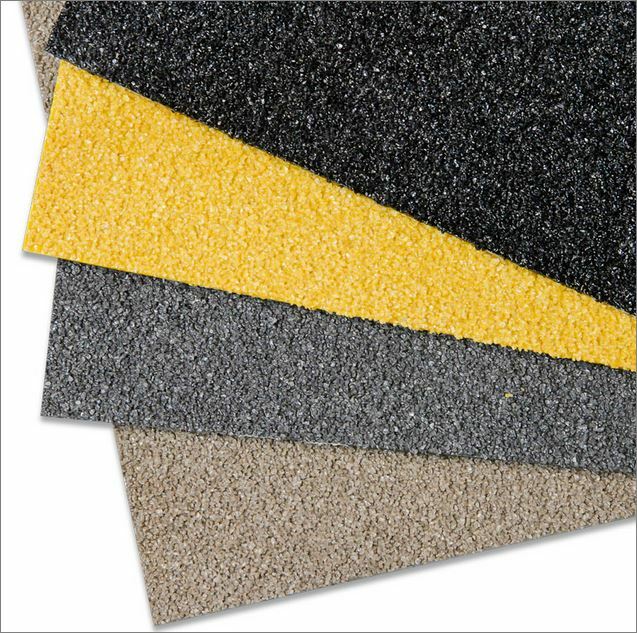 The standard grit-top surface provides perfect anti-slip flooring. Alternately, a checkered plate top surface may be desirable where fork lift truck operations take place. The smoother surface will allow loaded trucks turn more easily. 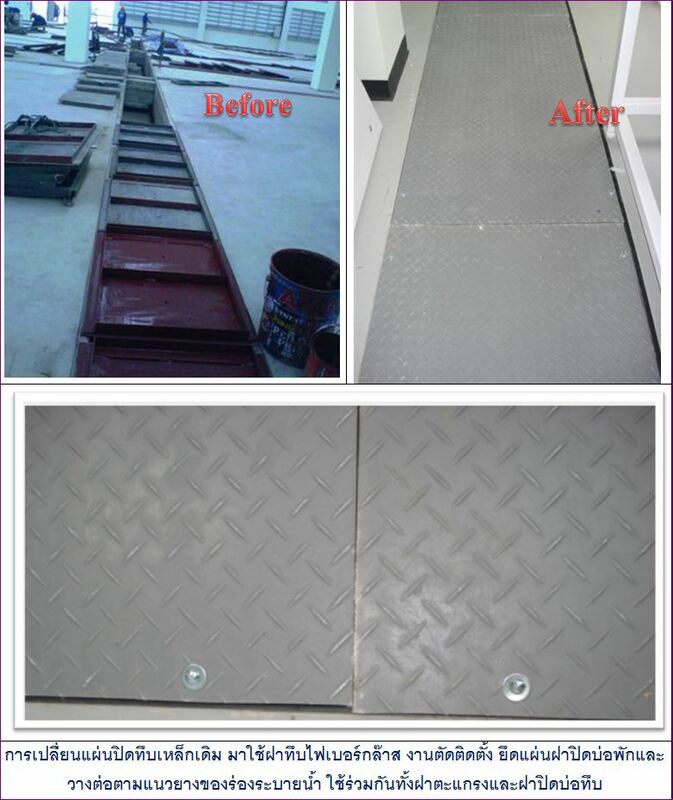 In addition to improving safety standards, FRP Covered Plate Grating provides excellent chemical resistance, is easy to install and offers long term durability. The gritted anti-slip surface has one of the highest degrees of slip resistance ever measured for a walking surface, providing an economical, safe solution to slippery walking surfaces. Cast iron manholes and metal manhole lids are being stolen every day. Thieves are stealing the cast iron manhole covers for scrap allowing vehicles, people or animals to drop in the hole. Just look at the Google News Results for Manhole Injury. 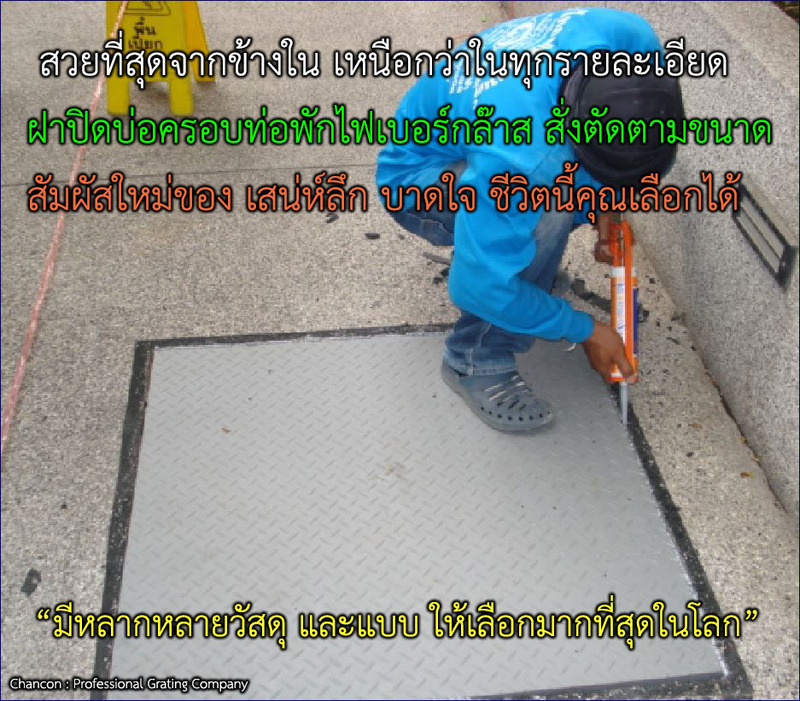 FRP fiberglass Manhole Covers offer a quick, easy and affordable way to prevent manhole cover theft. FRP or FRP fiberglass manhole covers have no scrap value. When would be thieves discover they are not dealing with cast iron, they simply move on to the next city or source of scrap. 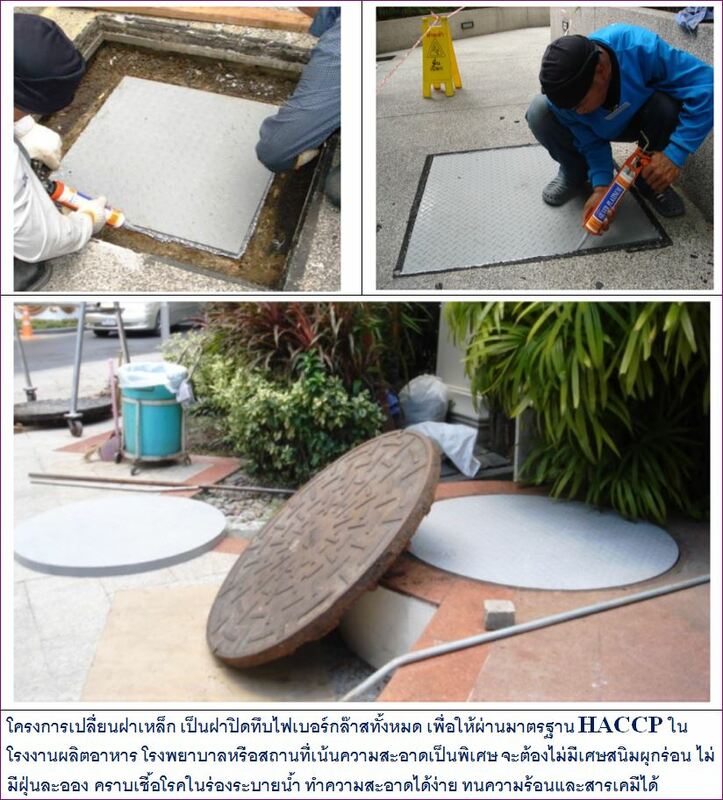 FRP fiberglass Manhole Covers are much lighter and are easier for utility works to handle and place. Cast iron manhole covers normally weigh between 100 to 200+ pounds. 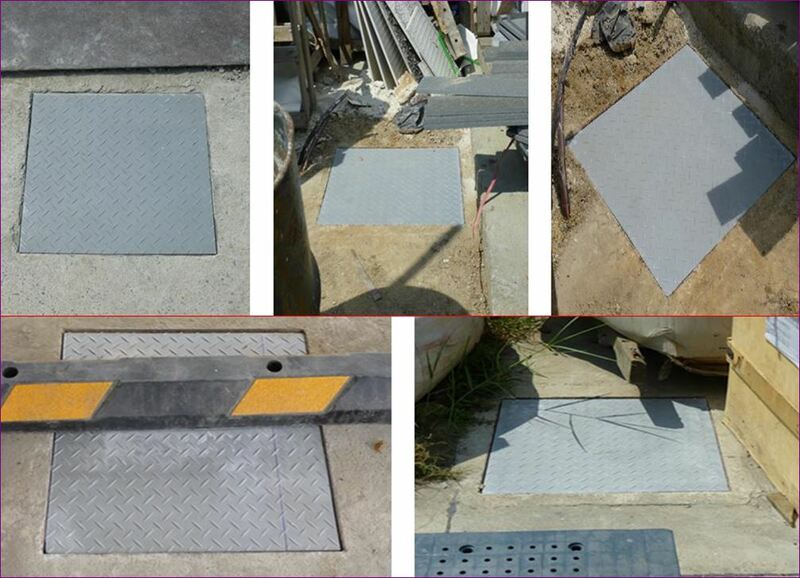 FRP fiberglass manhole covers and plastic manhole covers reduce weight by 63% to 85%! Which manhole cover would you rather lift? 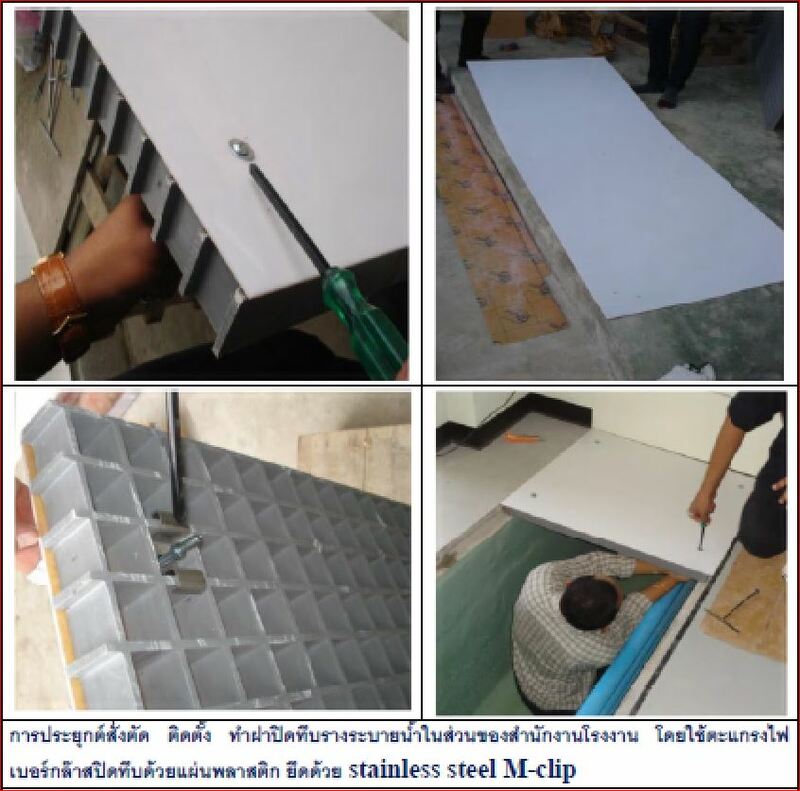 Iron or FRP fiberglass? What about kicking that cast iron manhole cover into place? 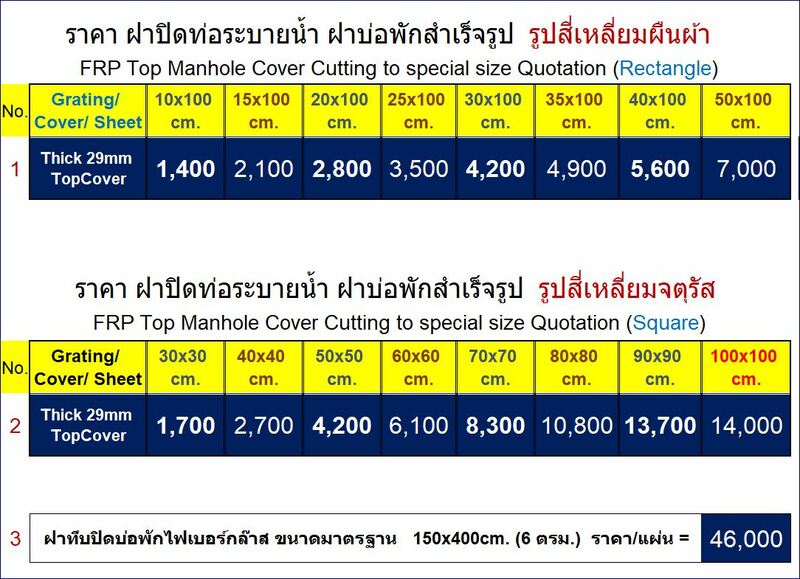 Which one manhole lid would you rather have drop on you? Manhole lids that have popped off are a big problem and liability for utilities. Sewer backups, storms, flooding, vandals and even truck tires can cause the lids to be knocked out of place or even missing manhole covers. The callout costs due to this have become much higher and losses due to liabilities are mounting. Cast iron manhole covers or lids are typically held in place by the weight of the lid. Frp fiberglass manhole covers or FRP manhole lids are normally secured with a locking mechanism or worm gearWhile cast iron lids have long been fitted with locks, even the best locks can be defeated with tools, torches or brute force. The crooks can still swipe your cast iron manhole lid in just a few seconds. Once a manhole lid is off or missing, the sewer or storm sewer is open to children, bikes, cars, animals, debris or even worse. In contrast, plastic manhole covers are locked down and secured with a unique worm gear that ensures the lid stays where it should be. Do you need a more secure manhole? Ask about our high security and individually keyed high security FRP manhole covers. Sewer and wastewater systems can be highly corrosive. Hydrogen sulfide gas is commonly found in these systems. It is corrosive, very poisonous, heavier than air, flammable and even explosive. When dissolved in water, it becomes a weak acid called hydrosulfuric acid or sulfhydric acid. FRP fiberglass manhole lids and frames are perfect for the most corrosive settings found in municipal collection systems, sewers and industrial pretreatment applications. Effluents rich in sulfides are common in these humid and warm environments. When the heat and humidity is combined with long retention times, ideal conditions are created for microbiologically induced corrosion (MIC). This MIC can eventually destroy most sewer infrastructure but not FRP fiberglass manhole covers or FRP manholes. 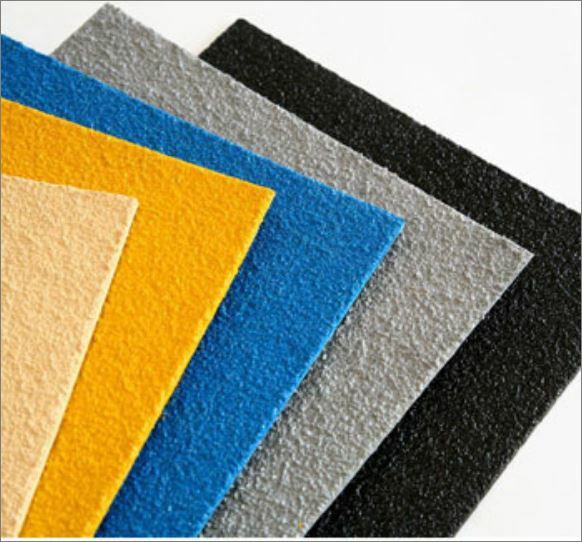 This inherent corrosion resistance makes FRP fiberglass (FRP) manhole covers ideal for effluent manholes, outfalls, industrial pretreatment, industrial process, equalization tanks, holding tanks and basins. 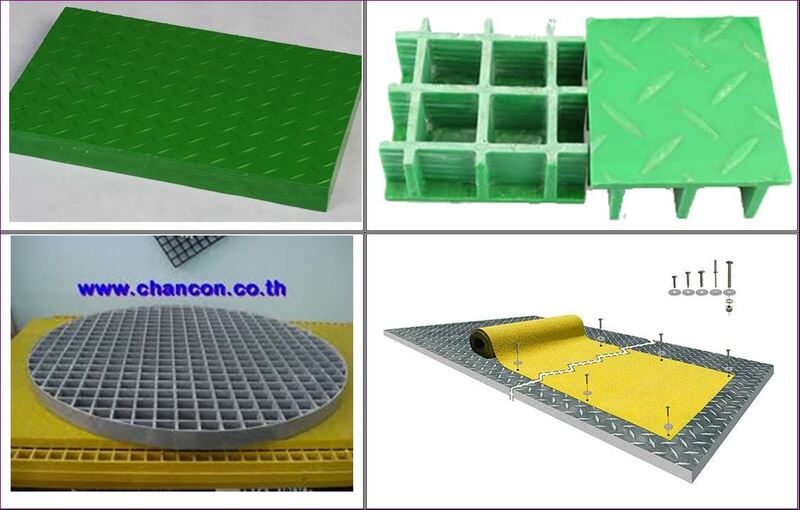 FRP fiberglass covers and (FRP – fiber-reinforced polymer) manhole covers and frames are designed with odor control in mind. These FRP fiberglass manhole lids are manufactured with better sealing in mind which helps contain the odor. Plastic or FRP fiberglass manhole covers are also ideal for residential areas and urban environments sensitive to sewer odors. 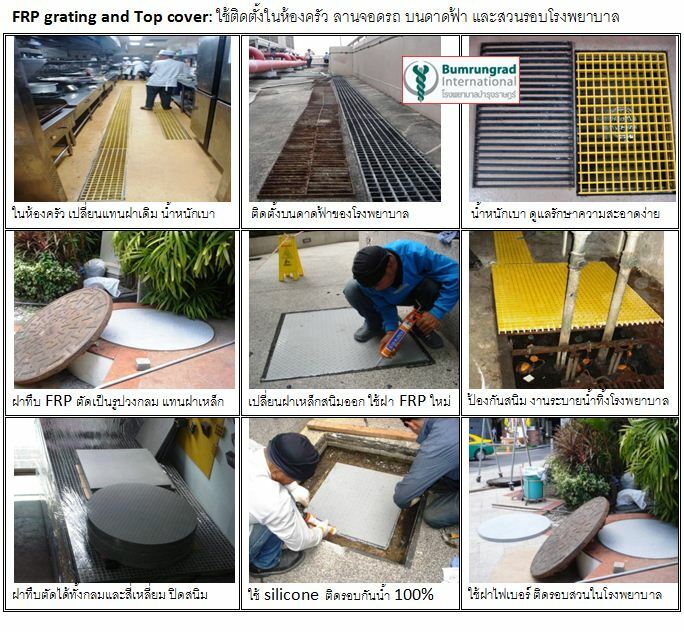 These FRP fiberglass manhole covers solve manhole issues for resorts, hotels, entertainment districts. Many engineers and facility managers have been using FRP fiberglass covers in parks and recreation areas, malls, outlet malls, high density developments, water parks, beaches, trailer parks, campgrounds and even all inclusive island resorts. 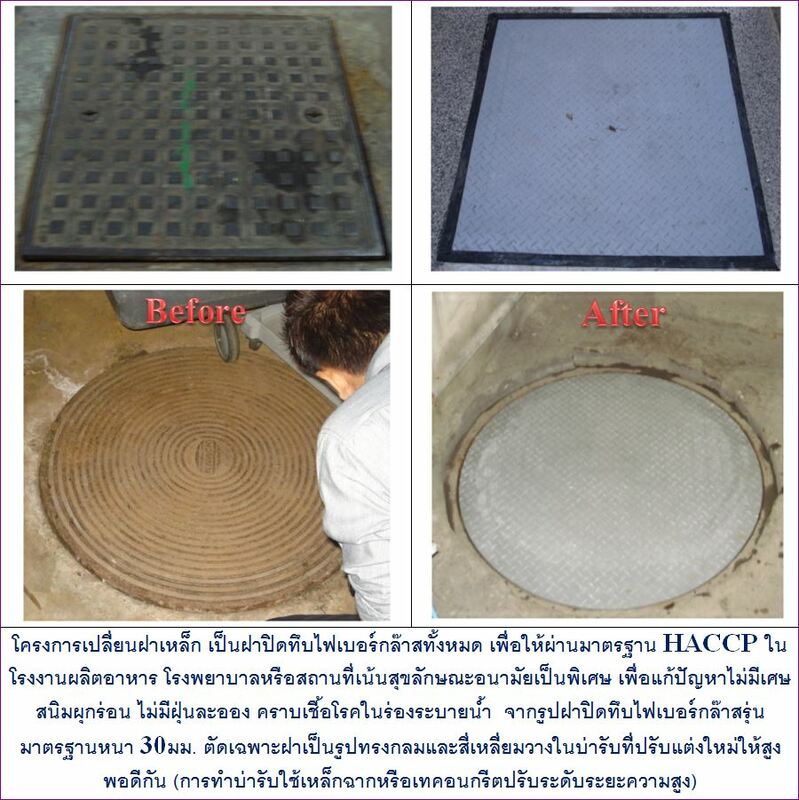 Many Telco and electrical utility manhole applications require manhole lids and rings to be non conductive. FRP fiberglass manhole lids are well suited for these non-conductive manhole requirements. 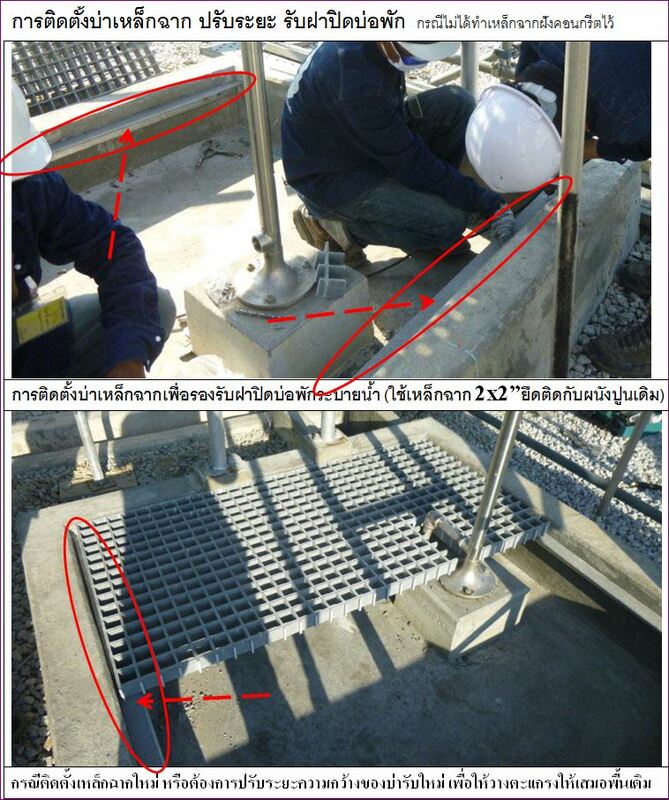 Manholes can also be fabricated and fitted with nonconductive fiberglass ladders, platforms and railings. Traditional cast iron manholes can block or interfere with radio signal transmission. Different antennas, antenna extensions, special lids, adapters or cover drilling are sometimes required when using cast iron lids. FRP fiberglass manhole covers allow radio frequency signals from Automatic Meter Reading (AMR) systems and telemetry systems to pass through with little to no interference. This makes fiberglass reinforced plastic manhole covers and FRP fiberglass manhole covers an ideal fit for monitoring systems, AMR systems, sewer flow meters, telemetry, SCADA, sewer and manhole level transmitters, water quality monitoring, water samplers, wastewater samplers and other devices. •	Reduces staff callouts while increasing time for family and the enjoying the benefits of recreation. •	Reduces fuel consumption and trips required to maintain the system. •	Saves on vehicle weight and fuel by not hauling around the heavier cast iron manhole lids. Three plastic manhole lids weigh less than one cast iron cover. Quality FRP fiberglass manholes and covers typically last 30+ years or more. Cast iron manhole systems usually require significant maintenance or replacement costs during that same 3o year period of time.